We expose our skin to the pollution and harmful UV rays on a daily basis. Grime, dirt and harmful chemicals from makeup products can build up on the skin, making it dull and greasy. Therefore, cleansing and makeup removal is very important when it comes to keeping the skin healthy. The right makeup remover will easily clean our skin without taking off its natural oils. 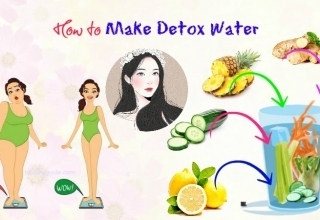 And nowadays, many people are looking for ways to make natural makeup removers at home. 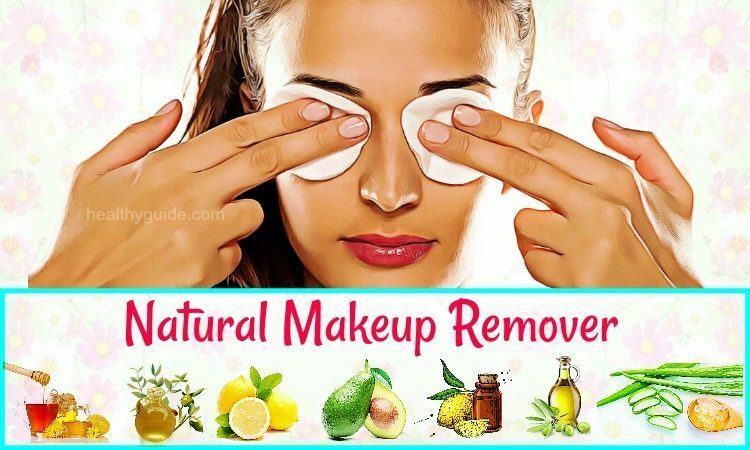 If you want to know how to make natural makeup remover by using at-home ingredients, then you need to pay attention to this interesting article. Here we from Healthy Guide will show you some of the methods to remove makeup with natural ingredients. There are many makeup removing products in the market, but some of them may contain harmful chemicals. Compared to commercial makeup remover, a natural makeup remover is a good idea because we can make sure the safety of ingredients. A natural makeup remover contains natural ingredients which will not cause any unwanted side effects on the skin. Try these simple homemade makeup removers for oily skin and acne prone skin, and you will achieve your desired results in just several weeks. Natural ingredients are always safer than chemicals in the long run. Besides, most of these makeup removers also work as natural toners, which are good for oily skin types. 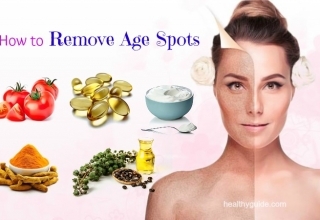 Read on Top 25 Best Beauty Tips For Face Skin Care And Improvement to discover some of the best beauty tips for skincare that you should know and then try to apply for good. 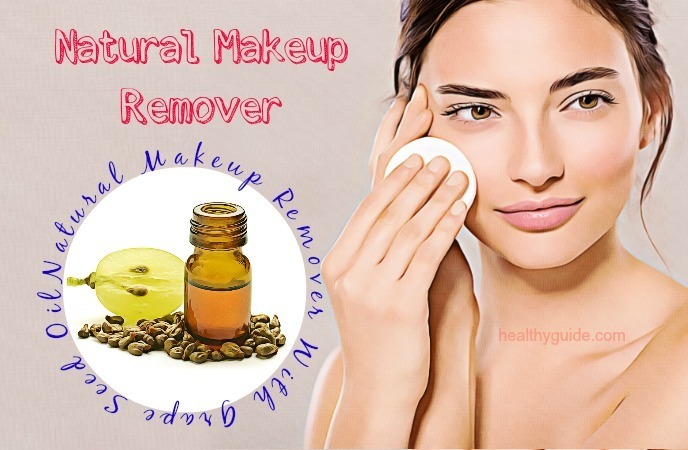 There are many natural makeup remover recipes that you can make use at home. And now, in this article, we will show you some of these recipes. This should be the first way on how to make natural makeup remover for oily skin that we want to mention in this article. There are many different uses of coconut oil for skincare. It works as a lip balm, moisturizer and natural makeup remover, etc. This oil can clean your skin without drying it out. Firstly, rub a little bit of coconut oil in your palms so that this oil melts into liquid form. Apply the coconut oil over your facial skin and gently massage. Then, wipe it off with a cotton ball or tissue. For eye makeup, put a small amount of virgin extra coconut oil on a clean cotton ball and then use it to wipe off your eye makeup. Note: If you have oily skin or acne prone skin, you should avoid using coconut oil. Olive oil is another great natural makeup remover, which is great for all skin types. Besides, olive oil can help keep your skin moisturized. Gently massage for about 10-15 minutes. Then, wipe your face with cotton balls. Alternatively, add 1 tsp. each of olive oil and baby shampoo in a glass of water. Combine them well before using. 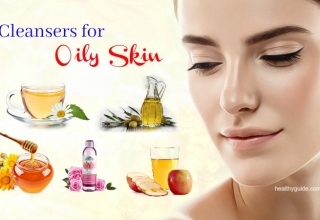 List of 19 Ways To Use Olive Oil For Acne Skin & Scars Treatment On Face will show you some of the best ways to use olive oil for acne prone skin and treat acne scars, so check it out! If you do not know how to make natural makeup remover for acne prone skin, then you can try making this DIY cleaning balm. Firstly, melt shea butter in a small pot. Then, mix it with macadamia oil, avocado oil, and soap until they begin to thicken. Finally, store it in a jar. 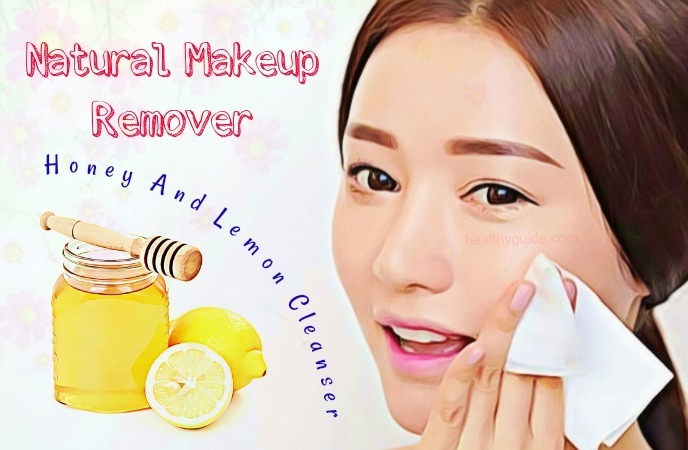 If you are looking for simple yet effective way to make natural makeup remover, then you should not skip this recipe. Mix olive oil and aloe vera gel in a ratio 1:2. Then, shake this mixture vigorously because water and oil tend to separate. Before each use, shake it well. Note: You can apply the aloe vera directly to your facial skin using a cotton pad. If you want to know to know how to make natural makeup remover for oily skin by using natural ingredients, you can try this homemade makeup remover balm. Firstly, melt the beeswax completely in a double boiler. Add the rose water and almond oil to the beeswax. Mix all of these ingredients until you get the consistency of a lotion. When using, apply the cream to your face. 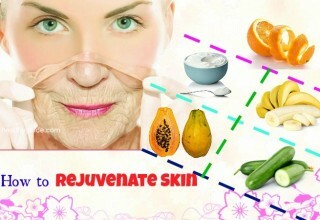 If you want to clean your makeup while moisturizing your skin at the same time, you can consider making use of banana. The moisturizing properties found in the banana help keep the skin hydrated while its enzymes can cleanse your makeup as well as dirt from the skin pores..
Firstly, mash a ripe banana to create a fine paste. Add a little bit of honey to the banana paste and then mix it well. Now, apply this banana paste to your face. Let it sit on for 5 minutes before washing it off with a warm towel. When combined, olive oil and sunflower oil can help lock in natural moisture of your skin and provide the skin with essential vitamins, antioxidants and fatty acids. Actually, it is a natural makeup remover for oily skin that you should not look down, yet consider applying for good. Mix both of the ingredients and gently massage it onto your facial skin for several minutes. Wipe the makeup off with a cotton ball before washing it off with water. Follow with your skin care routine. Firstly, dampen your face with water. Next, leave it on for a few seconds before gently rubbing it. Repeat this process with another cotton pad. Finally, use your mild facial cleanser as normal. Firstly, pour witch hazel and olive oil into a clean bottle with a lid. Use cotton balls or your fingers for applying it. Let it sit on your closed eyes for several seconds in order to absorb the eye makeup. Tips: You can use almond, castor or canola oil instead of witch hazel for the same effects. The tea tree oil is beneficial to the skin because it can inhibit the mold growth on the wipes. So, you can consider making this makeup remover recipe if you are looking for a natural makeup remover for acne prone skin. Mix all of these ingredients, except for the paper towels in a mixing bowl. Then, cut the roll of paper towels into halves. Place a half in a container with a lid. Pour this mixture over the roll. Next, cut an X in the container’s lid in order to pull up the paper towels. Unlike almost all oil-based makeup removers, this makeup remover recipe does not cause clogging pores or breakouts. Therefore, it is ideal for those who are looking for a natural makeup remover for acne prone skin. Firstly, fill up 3/4 of a jar with jojoba oil. Squeeze the contents of vitamin E capsule into the jar and add the lavender essential oil. Then, close the lid and shake it well to mix all of the ingredients. Use ½ tsp. of the concoction when you want to remove your makeup. After applying, wipe off the oils with the help of a cotton pad or damp washcloth. According to a research about cucumber and skin health , cucumbers are often used in beauty recipes thanks to their cooling effect. Therefore, many commercial makeup removers on the market contain cucumber as a main ingredient. And, you can make use of fresh cucumbers in your kitchen to make a homemade makeup remover. Firstly, cut a cucumber into a few slices and then grind them to create a fine paste. At the same time, extract cucumber juice and pour the juice in a spray bottle. Then, apply cucumber paste to your facial skin and gently rub it. Next, sprinkle cucumber juice on your facial skin and wipe it off with a clean muslin cloth. Yogurt offers many uses for skincare, from moisturizing the skin to relieving sunburns. 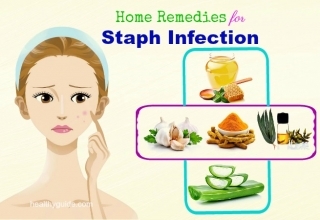 It can also help remove your makeup while softening your skin. You should use unsweetened yogurt if you want to remove your makeup remover. Place some plain yogurt in a bowl and then soak a cotton ball into it. Then, use this cotton ball to remove your makeup in circular motions. Repeat this process with another cotton ball. 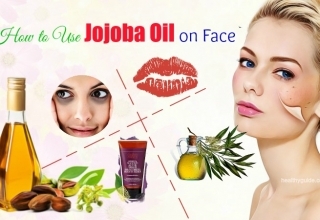 One of the simplest ways to make natural makeup remover for acne prone skin is to use jojoba oil. This oil can help moisturize your skin and make it soft. It can maintain the skin’s pH balance while not clogging the pores. Also, you can use jojoba oil to remove waterproof eye makeup. Dip a cotton ball in jojoba essential oil. Then, use this cotton ball to wipe off your makeup. Next, use a wet-wipe in order to cleanse the excess oil. Almond oil is a light oil, so it may be useful for removing makeup. Addition to this, the fatty acids and vitamin E found in almond oil can help you nourish the skin while fading the appearance of wrinkles and dark spots. Firstly, mix both of the ingredients in a bowl. Rub the oil mixture together with your hands to warm it up. Finally, follow with your toner, lotion and serum. Cucumber is great ingredient for removing excess oil buildup, makeup as well as other impurities. It contains anti-inflammatory properties, which help prevent breakouts. Besides, it is also soothing to your skin. Firstly, extract cucumber juice and combine it with extra virgin olive oil in a bowl. Then, emulsify this mixture with a fork until it has the color of cream. Massage it onto your facial skin immediately before washing it off with warm water. When you want to remove your stubborn makeup, avocado may be your best bet. It works gently on your stubborn makeup, and it also contains fatty acids and essential vitamins which help nourish your skin. Firstly, mix all of the ingredients together to create a fine paste. 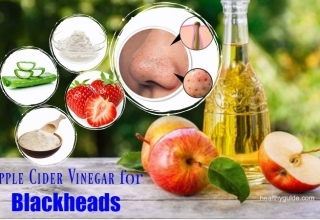 Apply this mixture to your facial skin and gently massage. Then, gently wipe it off with a cotton ball. Use a wet-wipe to cleanse your facial skin again. Finally, follow with your skincare routine. According to a study about natural makeup removal ingredients , using banana can remove the tough makeup layers and simultaneously give your skin the deep nourishment. Besides, the enzymes and moisturizing properties found in banana can help clear all the dirt and grime from your pores. Meanwhile, oat flour is added to this remedy to soften the skin. Firstly, mix all of the ingredients to create a fine paste. Next, use a cotton ball to wipe it off. Follow with your daily skincare routine. The antiseptic, antibacterial and anti-inflammatory properties found in aloe vera can help protect your skin from bacteria as well as other pathogens. Besides, aloe vera also contains astringent property, which has been found to help remove excess oil and dirt. At the same time, raw honey is packed with probiotic and antibacterial properties, which help remove the impurities and dirt from your skin. Also, honey is gentle on acne prone and sensitive skin. Firstly, mix raw honey and aloe vera gel in a container. Add nourishing oil to it and mix them well to create a smooth paste. Then, store this mixture in a container and store it in the fridge. When using, remove the mixture from the container and then use it to massage your skin for 60 seconds. Firstly, rub honey in between your hands. 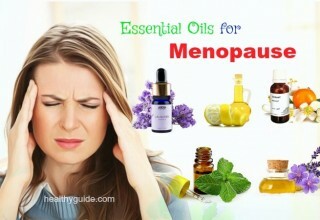 Apply it on your facial skin and massage it in circular motions. Next, soak a clean cloth in lukewarm water, and squeeze the excess water before using it to wipe off the honey. 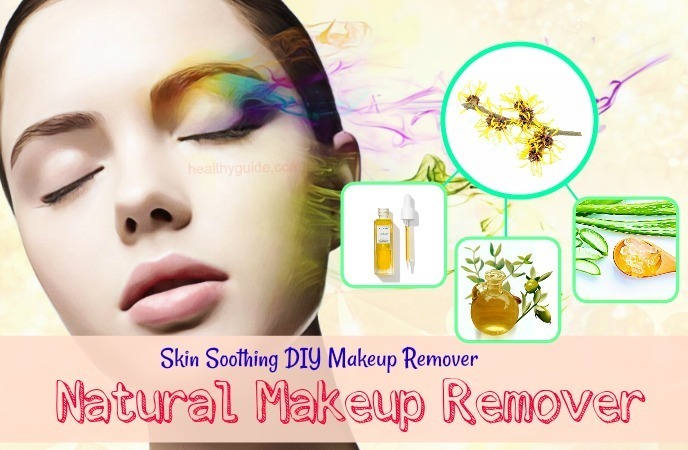 There are many ways to make natural makeup remover for oily skin in this article. So, you should keep reading this entire article and then try to apply any of these recipes at home for good. Then, store this mixture in a glass jar. When using, take a small amount of this rose water gel in your hands and use it to massage your facial skin in circular motions for about 3-4 minutes. Mix olive oil with in distilled water in a clean bottle. Then, squeeze vitamin E oil into the bottle and your DIY makeup remover is ready. Exfoliation helps you remove dead skin cells, dirt as well as other bacterial buildup from your skin. And, ground walnut shells make a great exfoliating scrub that you can make use at home. Mix the castile soap and ground walnut shell in a bowl and mix them well. Mix calendula oil and emulsifying wax in a small pot and heat it up till the wax melts completely. In a separate vessel, warm up the aloe vera gel before adding it to your oil mixture. Then, whisk it well to form an emulsion. Pour the emulsion into the walnut shell mixture and mix it with some essential oil. Mix all of these ingredients well and pour it into a container. When using, apply ½ tsp. of this scrub over your facial skin. Gently massage it before washing it off with lukewarm water. Firstly, add orange oil and jojoba oil to ¼ cup of distilled water. Then, add vitamin E oil to the mixture before pouring it into a clean bottle. Another natural makeup remover for you is to use milk. Whole milk is rich in protein and fat content, so it can help remove dead skin cells, and condition the skin. Plus, milk is also cheaper than most of the other makeup removers. Have some raw milk in a bowl and then soak a cotton ball in it. Then, squeeze it out to remove the excess milk. Rub it over your facial skin to remove your makeup. Repeat this process 2 times. 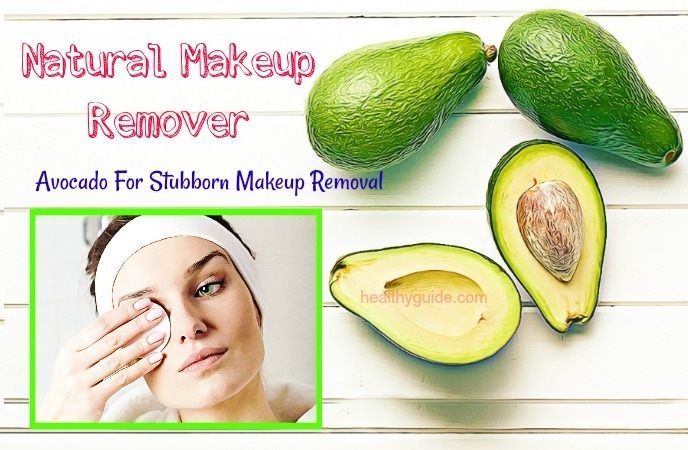 Avocado is also considered as a great ingredient for DIY makeup remover. It contains essential vitamins A, D and E as well as the omega-3 fatty acids, which act as a moisturizing cream. Besides, it can nourish your skin and remove your makeup naturally. Firstly, cut an avocado into halves. Place a part of avocado in a small bowl. Finally, use a wet towel to remove the rest of the avocado. Many people who have acne prone skin have to stay away from many commercial makeup removers because they contain irritating and clogging ingredients. And, if you have acne prone skin, you can use this natural makeup remover because it is effective and safe. It is a combination of a small crushed cucumber and ½ cup of milk. Combine them well and then store it in the fridge for up to 3 days. Firstly, soak a cotton ball in some fresh aloe vera gel. Swipe around your facial skin with this cotton ball to remove your makeup. Finally, rinse it off with warm water before applying lotion. 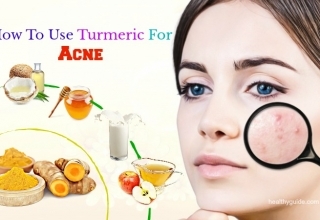 This combination is worth mentioning in this list of simple yet effective ways on how to make natural makeup remover for acne prone skin due to their multiple benefits for skincare. Mix all of the ingredients and pour it into a dropper bottle. Another natural makeup remover for acne prone skin is using chamomile tea. Firstly, brew 1/4 cup of chamomile tea. Mix the remaining ingredients in a mixing bowl and add cool chamomile tea. Mix all of the ingredients well before pouring it into a small bottle. When using, squirt facial cleanser into washcloth and use it to gently wash your face. Finally, rinse it off with clean water before following with your moisturizing routine. This makeup remover recipe is ideal for people with acne prone skin. It not only helps remove your makeup, but it also conditions your skin. The jojoba oil can relieve inflamed skin and provide it with enough moisture. The only thing you need to do is to mix 2 tbsp. of witch hazel with 2 tsp. 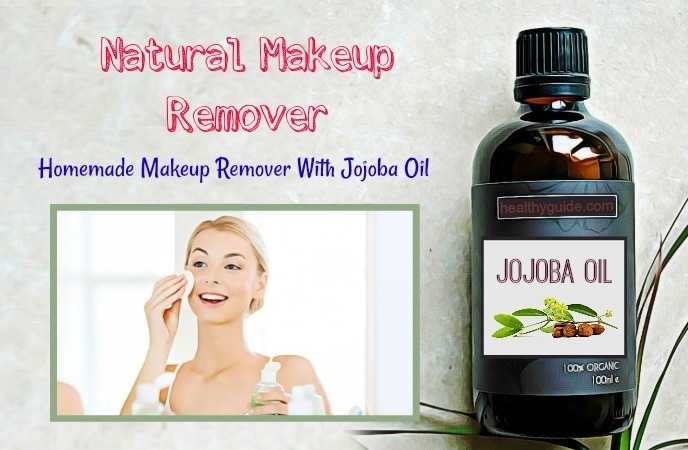 of jojoba oil and then use this mixture as a natural makeup remover. This makeup remover recipe is ideal for those with sensitive skin. It will not cause any irritation or redness. The only thing you need to do is to mix 2 tbsp. of baby shampoo, ¼ tsp. of baby oil in 1 ¼ cup of filtered water. Add this mixture to a container, and shake it up before using. Firstly, mix lemon juice and rice flour together. Add aloe vera gel to the mixture until you create a runny paste. Let it sit on for another 5 minutes before washing it off with cool water. Finally, follow with your daily skincare routine. Rosewater can work as a natural cleanser and toner. It gives your skin pores a deep cleanse and simultaneously tightens them. Mix both of the ingredients in a bowl. Then, emulsify this mixture with a fork and then use it immediately. Gently massage it onto your face before washing it off with warm water. Honey and lemon make a great combination for oily skin. The citric acid of lemon is a cleansing agent while honey can nourish your skin. Besides, lemon also helps reduce the excess oil production thanks to its astringent properties. Combine the honey with lemon juice. Then, apply this mixture on your facial skin and gently massage for 1-2 minutes. Let it sit on for 10 minutes. Finally, wash it off with plain water. Repeat this remedy daily before going to bed. According to a research about benefits of chamomile tea , chamomile tea contains and skin-healing and anti-inflammatory properties. 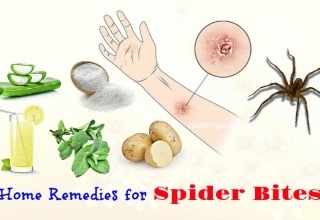 It can enhance blood circulation to the skin and simultaneously heal the skin damages. It also lightens the skin and reduces the excess oil production. Firstly, steep the chamomile tea bag in a cup of boiling water for 15 minutes. Allow it to cool down before adding the remaining ingredients to the tea. Mix them well and then transfer it to a clean bottle. Use this solution as your facial cleanser once or twice daily. Gram flour can help remove dirt, impurities and excess oil from the face. It also makes your skin fresh, young and radiant. Mix all of these ingredients and then store it in a container. Use this mixture to gently scrub your damp facial skin. Leave it on for several minutes before rinsing it off. Apple cider vinegar can be used to remove the dirty and dead skin cells. Its mild acidic nature can also help balance the skin’s pH and reduce excess oil production. Firstly, dilute the vinegar with water. Leave it on for several minutes before washing it off with clean water. Finally, pat it dry and apply a moisturizer. Tomato can cleanse the grime and dirt, and lighten the skin texture while can add extra freshness to the skin. When combined, they can remove impurities from the skin and simultaneously control the natural oil production. Grind both ingredients to create a smooth paste. Then, apply this paste on your facial skin and leave it on for 15 minutes. This home remedy works as a natural makeup remover. Simply, put some raw honey on a clean cloth and then sprinkle it in some baking soda before cleaning your facial skin with it. Gently rub it in before rinsing it off with clean water. Do you want to know other ways to make natural makeup remover for acne prone skin? If yes, you should continue to read this entire article and then try making any of these DIV makeup removers at home. Firstly, fill 1/3 of a jar with water. Mix it well and your homemade makeup remover is ready. When using, shake it well, put some of this DIY makeup remover onto a cotton pad and then use it to remove your makeup. Note: It can last 7-10 days. All of these ingredients have hydrating effects, helping you remove stubborn makeup. Besides, they can prevent breakouts. Mix the witch hazel with the oils before adding the purified water. Store the mixture in a container and mix it well before using. 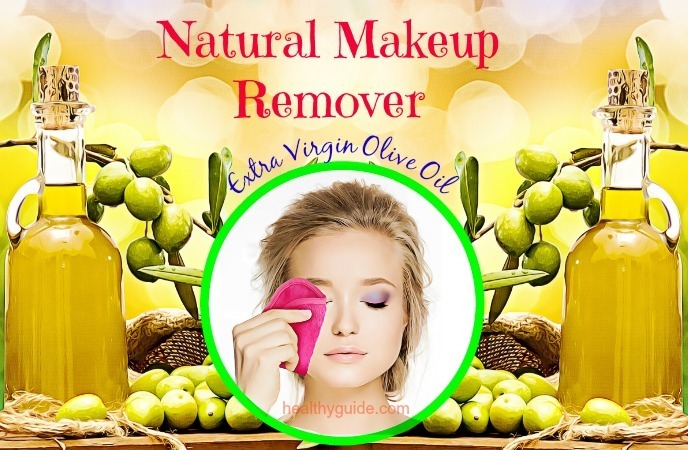 When it comes to learning how to make natural makeup remover for oily skin, this is a really amazing solution for makeup removal. The coconut oil can hydrate the skin and help remove waterproof makeup. Firstly, heat coconut oil in the microwave. Mix them well and store it in a glass container. One of the best ways on how to make natural makeup remover for oily skin that has been used by many people is this recipe. Aloe vera contains soothing and hydrating properties while lemon essential oil contains skin brightening properties. This is another natural makeup remover that you should consider making use. Actually, it is highly recommended for combination skin. Mix both of the ingredients well and then use it to remove your makeup. In regard to learning how to make natural makeup remover for acne prone skin, you can consider using this oil free organic makeup remover recipe. 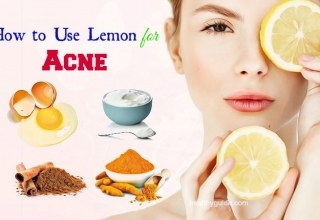 Apply it on your facial skin using a cotton pad. This is the last natural makeup remover that we want to mention in this interesting article. Aloe vera contains skin-healing properties and it can help remove makeup and condition your skin. Mix both ingredients together and leave it on until the oat flour is slimy. Then, massage your facial skin with this mixture. Wash it off with plain water and then pat it dry. Now, we hope that you can know how to remove your makeup from your face with the help of natural ingredients. Do let us know if this article can be helpful for you and how effective these recipes are by leaving your comments in the comment section below. Also, if you want to know further simple but effective beauty tips, remember to visit our Beauty Category.